MBA Adcoms: Do You Know Who You Are Talking To? 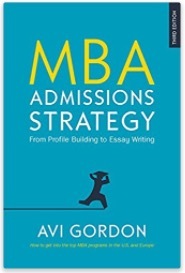 To be a successful MBA applicant, one key thing to get clear on is who you are talking to when you write MBA admissions essays. Getting your head around who your reader is, is a crucial part of creating a winning communication and therein getting admitted. One iconic profile is revealed in this now-somewhat-classic introduction to a Business Week interview with then-UCLA Anderson Director of MBA Admissions (now UC Irvine Paul Merage School of Business Director of Admissions) Mae Jennifer Shores. See: UCLA Anderson: Admissions Q&A – BusinessWeek. 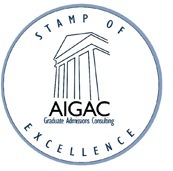 Every MBA admissions officer is different of course. But what they have in common is that it is unlikely they planned and studied for this career. Most come to it “sideways.” They typically have broad interests, are people-focused, and are good communicators. They have lived life in more than one industry and often more than one country. They are generally not business trained, although many have some background in HR or marketing. This makes the MBA application essay writer’s job harder and easier. It’s easier to engage an interesting person. Almost anything topic you raise will be “valid” for them. But it’s harder if all your stories are highly technical, or closely work-oriented or if your ability to reflect deeply and persuasively on your life and career path is limited. You’re not going to interest the likes of Mae Jennifer Shores unless you can extract the human interest and personal journey from your life story.